Updated guidance from the Royal College of Paediatric and Child Health for health professionals and parents on stroke in childhood. About 400 children a year in the UK have a stroke. Many are left with severe mental or physical impairment. While there have been improvements in the diagnosis and treatment in recent years, the condition is still not as well recognised as stroke in adults. 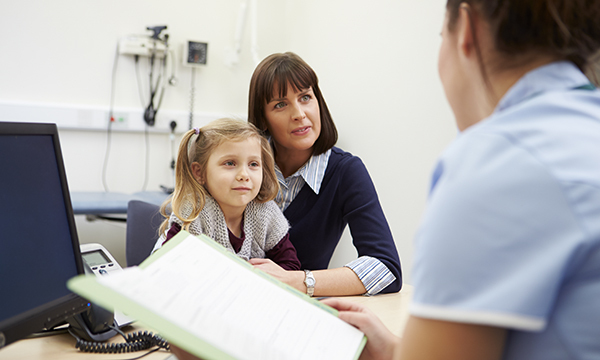 Experts believe that greater awareness among parents and healthcare professionals could lead to speedier diagnosis and minimise risk of severe long-term health problems. In May, the Royal College of Paediatric and Child Health (RCPCH) published updated guidelines on stroke in childhood. Funded by the Stroke Association, the guidance covers identification, diagnosis management and rehabilitation. Aimed at all healthcare professionals, it includes recommendations to enhance the quality of stroke care for children and young people, and a guideline for parents. As with adults, the most common symptom is weakness on one side of the body. A child’s face may droop on one side or their speech may be affected. Other signs may include headache, seizures, the sudden onset of vertigo or loss of consciousness. Symptoms can come and go and it may appear that a child has recovered. The FAST (face, arms, speech, time) criteria can be used to identify stroke. For children and young people, the causes of stroke are often different to adults. Conditions that may increase the risk include: diseases of the blood vessels; cardiac disease and surgery; blood clotting disorders; infections such as varicella zoster virus and upper respiratory tract infections; and illicit drug use. No cause is identified in about 10% of cases. Nurses can support both the child and their family, particularly siblings, who may feel frightened by what has happened. School and community nurses can also be involved in care, educating and preparing a child’s teacher and classmates for their return to school. ‘Nursing staff in all settings – including practice nurses, those working in emergency departments and school nurses – need to recognise that children can have a stroke. At the moment, there is not enough awareness among the public or healthcare professionals. We hope that this updated guideline will help to improve knowledge and also boost research into this area, as there has not been much in the past, in comparison to stroke in adults.